Let’s not kid ourselves. It’s not really possible to write a novel (or screenplay) step by step because that’s not how the creative mind works. Rather, we come to a story with a whole bag of bits and pieces of ideas, some complete, some half-baked. But, we can describe in step by step terms our own creative processes by which we assemble those ideas into a finished book or script. To begin with, the ideas we have are from all across the board: a snippet of dialog, a setting, a bit of action, a type of personality for a character (even though we don’t yet have any idea if it’s a protagonist or antagonist or even if it is the Main Character). Yet, there is hope. There is an approach you can take that works with your Muse, rather than against her. And, it is a real step-by-step method that will actually take you from concept to completion of your novel or script. So what is this miraculous “silver bullet” for banishing writer’s block and dancing merrily down the garden path to a finished novel? Simple. Rather than focusing on the needs of the story, focus on the needs of the author. No matter what kind of author you are, no matter what kind of novel you want to write, you share the same sequence of creative steps with all other authors everywhere. Just like the stages of grief or Freud’s psycho-sexual stage, there is a common order to the creative process which drives us all. This process can be divided into four Creative Stages: In order, 1 – Inspiration, 2 – Development, 3 – Exposition, 4 – Storytelling. Let me define each a little more fully. Inspiration comes to us all, sometimes through great effort; other times unbidden. From the outside, it appears as if a person plucks an idea out of the ether, creating something from nothing. But in truth, every inspiration is just the synthesis of some combination of new and previous experiences. Many inspirations aren’t worth pursuing. But, occasionally, a worthwhile concept pops into our heads that’s just too appealing to toss away. These little visions can be single grains of sand that require lots of time and effort to develop into a pearl. Or, they may be fragments, glimpses really, of something larger for which we do not yet see the full extent, scope, or shape. The most impressive of these little mental feats are those rare ideas which thrust themselves upon our conscious minds completely developed already, like a snap-shot of the whole shebang in a single big bang moment of creation, right out the head of Zeus, as it were, mature upon birth. Finding Your Creative Time, Finding Inspiration for Writing, and Writing from the Passionate Self. For your convenience, I’ve also compiled all my best articles on finding inspiration into a twenty page booklet called The Case of the Missing Muse, available as a PDF Download and also in Kindle Book format on Amazon.com. As obvious as it may be, it bears repeating: You can’t develop an inspiration you haven’t had yet. And just as important: Inspiration doesn’t stop just because you move into Development. You see, these four stages the creative process don’t follow each other one after the next. Rather, they are layered, like a layer cake or the floors of a building under construction. No matter what the story, you have to start with Inspiration – there’s no way around it. Once you have that inspiration you can start adding depth and detail to it until it fleshes out in a fully developed story concept, or at least a part of one. But even while you are developing one part or aspect of your story – perhaps because you are developing one part – new inspirations start popping up all along the way. The very act of enriching a previous inspiration add more concepts and new perspectives into the mix. Those bounce around in your head, run into each other, and merge and blend to create whole new inspirations. So just because you have all your basic ideas worked out, don’t shut your mind to Inspiration just because you have started Development. It may turn out your best ideas are yet to come! What’s more, you don’t have to wait until you have your whole story worked out to start developing the parts you have. There’s no reason why you can’t figure out the arc of one of your characters before you even know who the other characters are or what the plot is about. It is more like weaving than building timeline. You follow one thread until inspiration runs dry, then pick up another and run with it for a while. And even these don’t have to be in story sequential order. You can jump to the end to dabble with a surprise conclusion to your plot, for example. You might not yet have any idea how you are going to get your characters there, but you know what kind of twist you want. So, just go for it. You can always rewrite later if you get in a bind. You know, a lot of writers worry that if they don’t have everything figured out in advance, they may have to get rid of a lot of work they had already done that just doesn’t fit with the way the story turns out to be. Hey, words are cheap. If you are any kind of an author at all, you’ve got an endless supply of them. It pays to remember that writing a novel almost always takes a long time. You’re going to spend hundreds of hours tooling it together. Don’t cry over a few hours or even dozens of hours that have to get ripped out later. It is all part of the process of finding your story. Keep in mind the salesman’s creed: If you get nineteen doors slammed in your face before you make a $20 sale on the twentieth call, well then you made $1 each time you knocked on a door. Same with writing. It doesn’t matter how much work you have to throw away. By following each inspiration as far as it will go, even if that material is never used, it was a necessary step to get you to the material you WILL use. Creating Characters from Plot, The Creativity Two-Step, and Avoiding the Genre Trap. 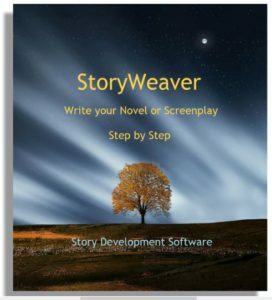 Just a quick reminder that our StoryWeaver Story Development Software is designed to help guide you through all four stages of the creative process. Okay. So you had some inspirations and you’ve done some development. Perhaps you’ve even worked out your entire story and everything in it. You know your story up one side and down the other. But – your readers don’t. Exposition is the process of working out how and when you are going to reveal everything you know about your story as it plays out over time. Perhaps the most common mistake made in Exposition is knowing your story so well that you forget to share that knowledge with your readers. It is so easy to leave out a critical piece of information because it is so important it never occurs to you to see if you actually conveyed it. But exposition is much more than that; it is an art form in its own right. Intentionally holding back on information to create assumptions or misunderstandings can help set your readers up for jaw-dropping shockers. Putting information out of sequential order in flashbacks and flash forwards can force your readers to have to reevaluate characters and plot . This makes the “read” an active endeavor rather than just a passive experience. There are two basic ways to approach Exposition: 1 – Work out an Exposition Plan in advance so that you know how and when each key bit of information will unfold. 2 – Just go ahead and write the story and then go back to make sure you put everything in that ought to be there. The first approach works well when you want to keep the readers guessing, as in mysteries or conspiracy stories. The second approach is better if you are the kind of writer who likes to go with the flow and not feel too constrained while writing. If you elect not to have an Exposition Plan in advance, here’s a tip that will still ensure all the crucial bits of information made it into your story: Before you write in fine literary prose, write a shopping list of all the elements of your story you want your readers to know. Describe your characters, plot, theme, and genre all in terse, concise terms. Then, when you have written your story, refer to your list and find each element in the story as written, checking it off the list when you find the actual place at which you’ve conveyed that information. If any of these character and plot points doesn’t get checked off your list, you’ve gotten so wrapped up in the storytelling you forgot to put them in and need to find a place to insert that information as gracefully and dramatically as possible. As before, Exposition is layered on top of Development and Inspiration. So, even while you are working out how to unfold your story, that very process may inspire whole new concepts to include the your novel and also suggest new details that can enrich the ones you’ve already got. Introducing Characters – First Impressions, Blowing the Story Bubble, and Genre- Act by Act. One of the best tools for working out an exposition plan is the new Outline 4D program from Write Brothers. Finally, we arrive at the last stage of story development. This is the part where you actually put words on paper that you intend your readers to see. (Keep in mind that for a screenplay, your readers are not the movie-goers but the cast and crew who will interpret your words and present them to the audience on your behalf). You are only as good as you own talent – get over it! Most cases of writers block occur not because authors don’t have any ideas but because they don’t think the ideas and/or the way they expressed them is good enough. Hey, we all want to be celebrated in our own time – the toast of the town, the person everyone wants to know. Dickens was a rock star of his age – revered by scholars and applauded by his fans, especially when he went on tour throughout England doing “one-man-show” performances based on readings from his “greatest hits” and acting out all the characters himself. Not everyone can be Dickens. Hardly anyone can be Dickens. In fact, only Dickens could be Dickens and only Shakespeare could be Shakespeare. I’m sorry but that’s the way it is. Some folks, like the aforementioned, are notable for many fine literary works. Others, like Mary Shelly, Margaret Mitchell, and Ralph Ellison really only had one superb novel in them. (Ellison might have had two but his entire manuscript burned up in a house fire and he had to reconstruct it from memory). Fact is, if you aren’t good or lucky enough to be a Dickens or a Shakespeare, you’ve go two choices: 1 – labor over one single work all of your life until it is as perfect as you can make it. 2 – Write a lot of books (or screenplays) and hope one of them turns out to be great. It really depends on whether you are writing to ensure how you will be remembered, or writing because you want to share something with people today. To be sure, there are all kinds of tips, tricks and techniques you can use to improve and hone your storytelling skills. Just don’t get hung up on whatever level of ability you’ve go. Rather, make the most of it. After all, the more you write, the better your writing will become. Naturally, the less that gets in the way of your writing process, the more smoothly it can proceed. 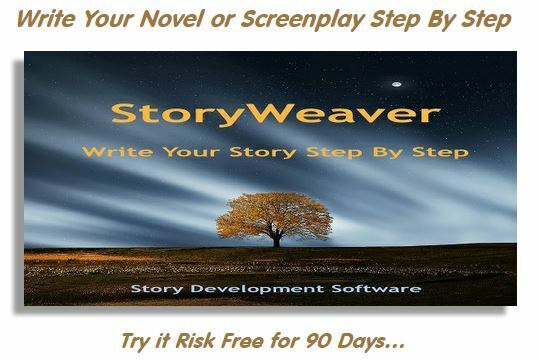 When you write novels or screenplays, consider Movie Magic Screenwriter. It is not just for scripts, but automatically formats your novel, script, or stage play while you write. This entry was posted in Creative Writing, Novel Writing, Screenwriting, Story Development. Bookmark the permalink.